Here comes Santa Claus, here comes Santa Claus! Jolly old St. Nick is ready to deliver a very Merry Christmas to your special someone. 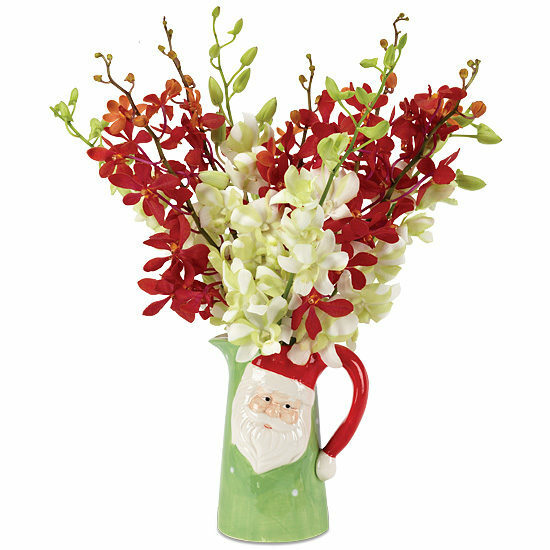 His classic red hat forms the handle of this adorable pitcher and his cherubic cheeks and thick white beard are depicted on the vessel’s side. 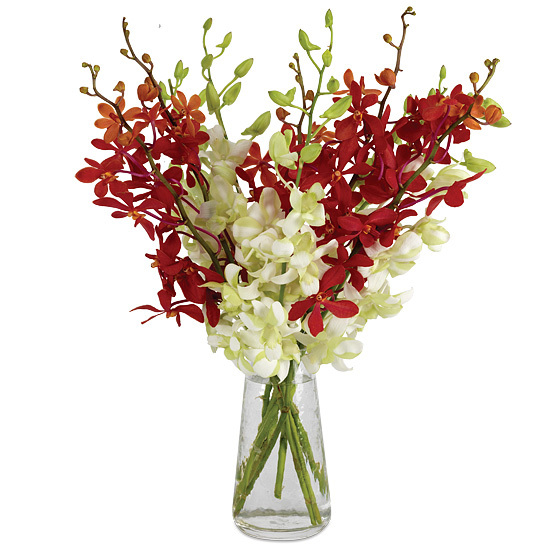 Inside is the happiest holiday offering of orchids you could imagine – a collection of dendrobium and mokara varieties in the season’s traditional colors of white, red, and green.